Yesterday, Press Gazette named our top ten villains of the year. But after a year that has seen Press Gazette, no longer in print, record its best year for online traffic ever, and – we'd like to think – make a difference to the journalism industry in some ways, it would seem a shame to end 2014 on a bad note. The theme of the villains list was attacks on press freedom, and today's heroes list focuses largely on those who have done their best to defend journalism. The police officers who informed The Sun of Andrew Mitchell's rant at the gates of Downing Street risked their livelihood in order to expose the behaviour of a cabinet minister. With the exception of Keith Wallis, who was imprisoned for falsely claiming to be a witness, the Crown Prosecution Service decided not to press charges on the whistleblowers. But this was after they had been arrested and lost their jobs for speaking to a newspaper. After the High Court ruled that Andrew Mitchell probably did say "pleb", one of those whistleblowers, Jim Glanville, said: “I was incensed by what Andrew Mitchell had said and I knew it would get covered up. “Nobody was going to do anything about it. The Met’s hierarchy are always more afraid of upsetting politicians than looking after their own. In July, Press Gazette was the first publication to report that Russia Today London correspondent Sara Firth had resigned over the station's 'biased' coverage of a plane crash in Ukraine. In March, American newsreader Liz Wahl made a live resignation from the channel's Washington DC bureau (video below). She said she could no longer work for a network that "whitewashes" the actions of Russian president Vladmir Putin. Yesterday, Trinity Mirror made Press Gazette's villains list for the closure this month of seven regional newspapers – and the loss of 50 jobs. Sir Ray Tindle is on this list after he launched four new weekly newspapers for London. In recent months, primarily since news emerged of police use of the Regulation of Investigatory Powers Act, Keith Vaz has been a staunch defender of the press. The Home Affairs Select Committee chair called an inquiry into the RIPA scandal in the autumn. On publication of the report earlier this month, he said: “RIPA is not fit for purpose. "We were astonished that law enforcement agencies failed to routinely record the professions of individuals who have had their communications data accessed under the legislation. “Using RIPA to access telephone records of journalists is wrong and this practice must cease. The inevitable consequence is that this deters whistleblowers from coming forward. The report also noted that Freedom of Information Act requests by Press Gazette to every police force in the country about RIPA use against journalists have either been ignored or refused. The Labour MP has also this year questioned the length of bail being endured by various journalists arrested by the Metropolitan Police. Under John Witherow's editorship, The Times has been outperforming other newspapers in terms of year-on-year circulation change throughout the year. This is despite a 20 per cent cover price rise – from £1 to £1.20 – in January. News UK also noted recently that Times Newspapers, which includes The Sunday Times, made a profit – of £1.7m – for the first time since 2001 in the year to June. Our highest non-journalist entrant, Gavin Millar QC has stood up for the rights of journalists on numerous occasions this year, particularly after the RIPA scandal broke. Millar has been directly involved in defending The Sun, Mail on Sunday and Sally Murrer of the Milton Keynes Citizen, and has this year spoken out against police use of the act against them. He has described police use of RIPA to find journalistic sources as "completely illegal" under the European Convention on Human Rights. Judges said: “Like Marie Colvin, Anthony Loyd has risked his life to report on the unfolding humanitarian disaster in Syria." The Insight Team, Jonathan Calvert and Heidi Blake, deserve special mention after claiming three prizes at the BJAs – including the investigation of the year and sports journalist of the year for their investigation into FIFA. The team was also named business journalism of the year for an investigation into RBS ‘killing off good firms for profit’. Times reporter Andrew Norfolk was named journalist of the year for his long-running investigation into child abuse. Judges said he “stood out as a magnificent example of what can be achieved by an ordinary reporter”. The judges’ statement said: “It was a local story which exposed an appalling, unpalatable and almost unbelieveable scandal. Norfolk and The Times refused to give up until the child grooming gangs were exposed and the problem was addressed at a national level. Press Gazette launched the Save Our Sources campaign after we were the first publication to reveal the police secretly obtained the phone records of The Sun newsdesk and political editor, Tom Newton Dunn, to find the paper's source of the Plebgate scandal story. 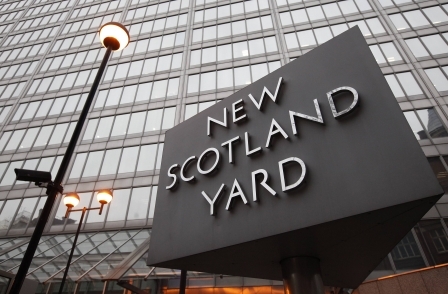 It has since emerged that police forces for Essex, Suffolk, Thames Valley and, seemingly, Cleveland have used the same techniques to find journalistic sources. The Save Our Sources petition – which you can still sign here – has now been handed to the Interception of Communications Commissioner, who is in the process of writing a report on police use of RIPA against journalists. It has been signed by more than 1,250 editors, reporters, freedom of speech campaigners and media law experts.